Highlights of the Sky Bet League One match between Plymouth Argyle and Oxford United..
Oxford United claimed a comfortable 4-0 victory at struggling 10-man Plymouth to end the home side's five-match unbeaten run in League One. United went ahead in the 15th minute after striker Wes Thomas was felled in the Plymouth penalty area as he latched on to a superb through ball from Ryan Ledson from the Oxford half. Central defender Ryan Edwards, who committed the foul, was sent off and Ledson stepped up to convert the penalty, sending goalkeeper Remi Matthews the wrong way from the spot. 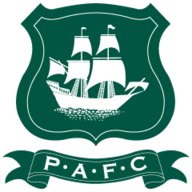 Argyle had come close to levelling before half-time when recalled Graham Carey's 20-yard free-kick beat diving Simon Eastwood but came back off the foot of the keeper's left post. Thomas swooped to score a 52nd-minute second for the visitors goal after Matthews did well to save Joe Rothwell's thumping shot. James Henry, who had hit the bar with a 20-yard chance at 2-0, made it three with a superb solo goal, cutting in from the right to score from an acute angle as he drilled the ball through Matthews' legs. 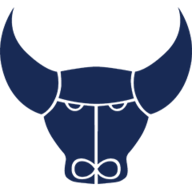 Substitute Jon Obika completed the scoring from close range in the 77th minute, converting Ricardo Ferriera da Silva's cut back as Oxford moved up to seventh to sit just two points off the play-offs.